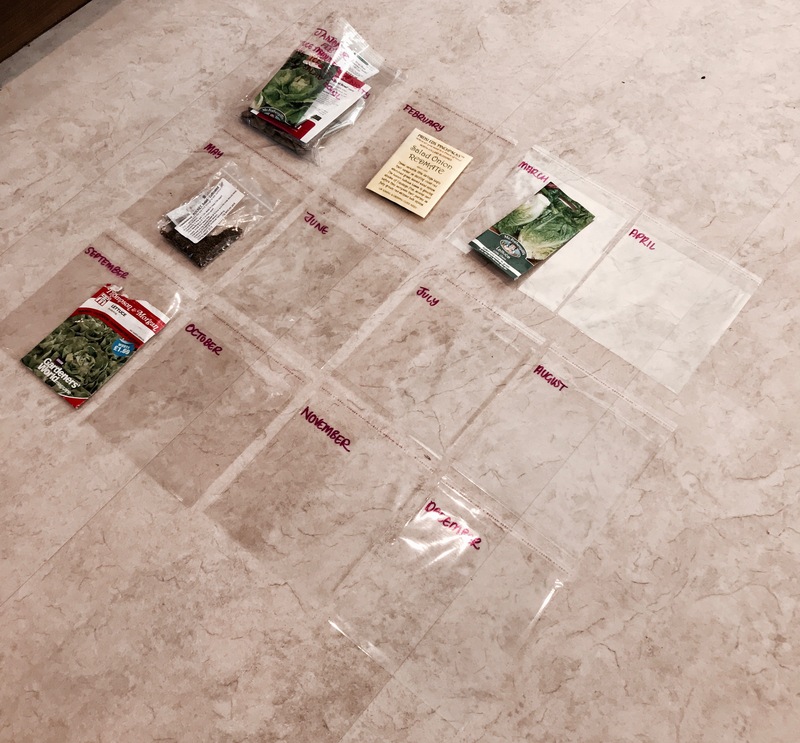 I tend to take a look through the packets and get rid of any rubbish first, then going on to sort them into the order that I would like to sow them in. Many seeds have a sowing range of a few months, I usually refer to the first month in which sowing is suitable. 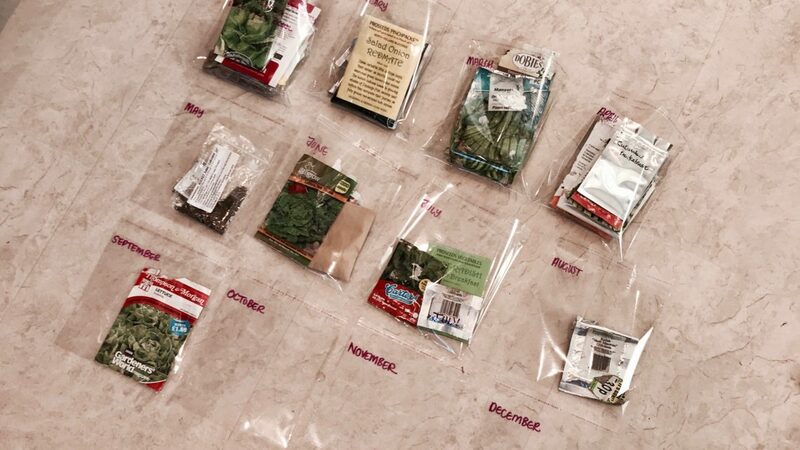 This year I have used some cello bags to order the seeds as I will use them month by month, labelling each bag. If something doesn’t get sown on the first month or if I would like to succession plant then I will move it along to find the pack again in the following group. I have also gone as far as to create a spreadsheet for the year with all of the fruit and veg sowings that I intend to do, it’s a work in progress but I can add to this each year and change the colour of the cells as I complete each item. A notepad could do much the same job but I wanted something that I could use each year over and over again. I have also used the spreadsheet cells comment section to add additional care information. Hopefully our first full year with three plots will be organised!